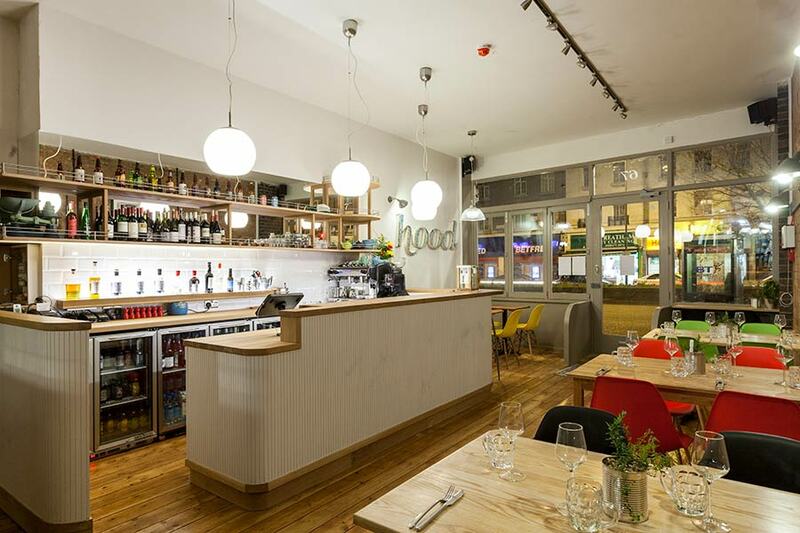 We are an independent, friendly neighbourhood restaurant and bar in Streatham serving seasonal Modern British food accompanied by locally brewed beers and European & English wine. We aim to work with a variety of local businesses and organisations as a customer, a partner or a supporter. As the very essence of our name suggests provenance and locality are really important to us. We love to tell you where we get a particular ingredient or product from whether it’s a farm in Kent, a back garden in Streatham, a brewery in Bermondsey or vineyard in Sussex! We are a young independent business and we love to work with people like ourselves. 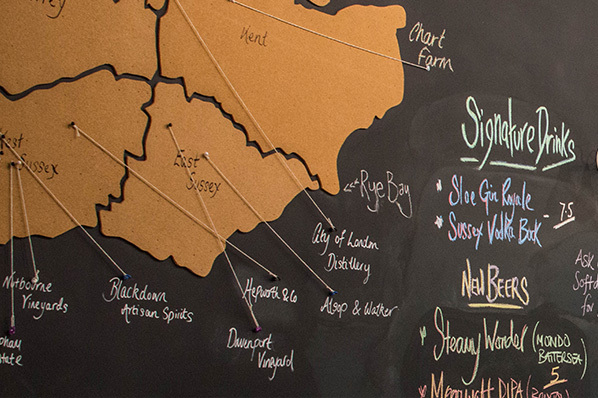 Traceability of our produce is important to us and we have a provenance map on our restaurant wall so you can see where our key ingredients and drinks come from. We extend our ethos of locality and provenance to our drinks by sourcing all our wine from within Europe. We are really on offering wine from interesting and emerging regions alongside the classics and we are extremely proud of our extensive English wine offering. We work with several small batch distilleries, whose spirits from which we create our signature cocktails, and we have on offer some of the best soft drinks produced here in London. Our craft beer menu is unique and we have real fun putting it together. Our beers are typically locally brewed, hand crafted, super fresh and change on a daily basis. All our bottled and canned drinks can be purchased at a takeaway price too – please just enquire with one the team.